It's just another day at the White House. In the six months or so of being President of the United States of America, Donald Trump hasn't been able to shake off his experience as host of the reality TV show The Apprentice. Donald Trump may have started this week on a cheerful note, declaring “no WH chaos!”, but the reality is quite different. Hours after Trump sent out this tweet, the White House announced that the President's communications director, Anthony Scaramucci, was chucked out, after just 10 days on the job. Scaramucci was just the latest in President Trump's White House shakeups. Reports in the media say that Scaramucci's removal came at the request of the new chief of staff John Kelly, who wanted to start with a "clean slate". Coincidentally, or not, this was the exact reason Scaramucci had given for the resignation of the previous infamous press secretary, Sean Spicer. Here's a lowdown of everyone who has been fired by Trump since assuming office on 20 January, starting with the latest three. Trump had appointed Scaramucci to a position that was left vacant by the resignation of Mike Dubke in early July. Scaramucci is a hedge fund manager and has zero political experience. Everyone from Reince Priebus to Sean Spicer and even Steve Bannon opposed Scaramucci's appointment. Scaramucci's tenure lasted just ten days. Upon being appointed, he effortlessly praised his new boss at a White House press briefing. 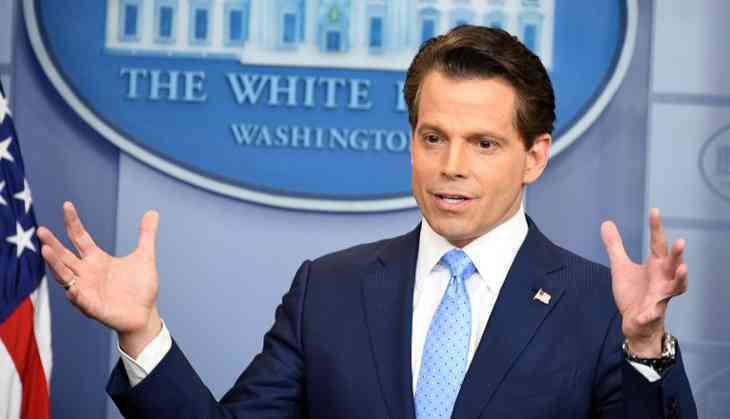 "The Mooch" as he is known, had his most explosive moment when he gave a scathing interview to the New Yorker, which was vulgar, to say the least. Trump thought his comments were "inappropriate" according to Sarah Huckabee Sanders. Reince Priebus had been on the sidelines for many months and was finally forced out last week. What led to Priebus' exit was Scaramucci. Scaramucci had accused Priebus of leaking information to reporters. Furthermore, Scaramucci attacked Priebus in a scathing interview to The New Yorker. Priebus has been replaced by John Kelly, formerly Trump's secretary of homeland security, who is a retired military general. Sean Spicer had long opposed Scaramucci's appointment and resigned just after his confirmation on 21 July. Spicer's reign as Trump's press secretary was marred by mockery, each and every time he got up on the podium. So much so that Saturday Night Live's ratings have gone through the roof and late-night comedians are having a field day. Spicer repeatedly refused to answer questions from the press. His most famous moment came when he was found hiding in the bushes. Spicer lasted just six months and a day. His top deputy, Sarah Huckabee Sanders has now taken over as press secretary. Sanders has brought with her more on-camera press briefings than we're used to, but nothing has come out of them. She's still toeing the Spicer line and criticising those who report negatively on Trump. Comey was sworn in on 4 September 2013, under the Barack Obama administration as director of the FBI. Almost four years later, on 9 May 2017, Comey was fired as FBI head. For almost a year, Comey was a part of a lot of controversial decisions that included the investigation into Hillary Clinton's emails and Russia's interference in the United States elections. Comey's firing was a wake-up call to all those in Washington. Acting US attorney general Sally Yates was fired by Trump in January itself, after she ordered the Justice Department lawyers to not enforce the President's controversial immigration ban. Trump then accused Yates of betraying the Department of Justice by "refusing to enforce a legal order designed to protect the citizens of the United States". Yates though said, in an open letter, that she was not convinced about the lawfulness of the executive order. Michael Flynn, President Trump's former national security adviser, resigned in February of this year. He resigned after it came out that he had discussed US sanctions on Russia with Russian officials, specifically Russian ambassador to the United States. This happened before Trump assumed office. Furthermore, Flynn misled vice-president Mike Pence and other White House officials about these conversations. As a result of these conversations, and not telling White House officials, Flynn had essentially left himself vulnerable to blackmail by Russian officials. Flynn served in office for less than a month. On 18 May, Mike Dubke tendered his resignation as White House communications director at the height of the Trump administration's Russian scandal. Dubke served in the post for just three months. “It has been my great honor to serve President Trump and this administration. It has also been my distinct pleasure to work side-by-side, day-by-day with the staff of the communications and press departments," Dubke wrote in an email to friends and associates. Dubke essentially worked in close quarters with Sean Spicer and helped manage communications for the multiple crises that hit the White House. Manhattan prosecutor Preet Bharara was among 46 US attorneys who were asked to step down on Friday, 10 March. After refusing to resign following a direct order from attorney Jeff Sessions, Bharara was fired. Usually, the new administration does an overhaul of US attorneys. Bharara, after meeting with Trump in 2016, had "agreed to stay on".